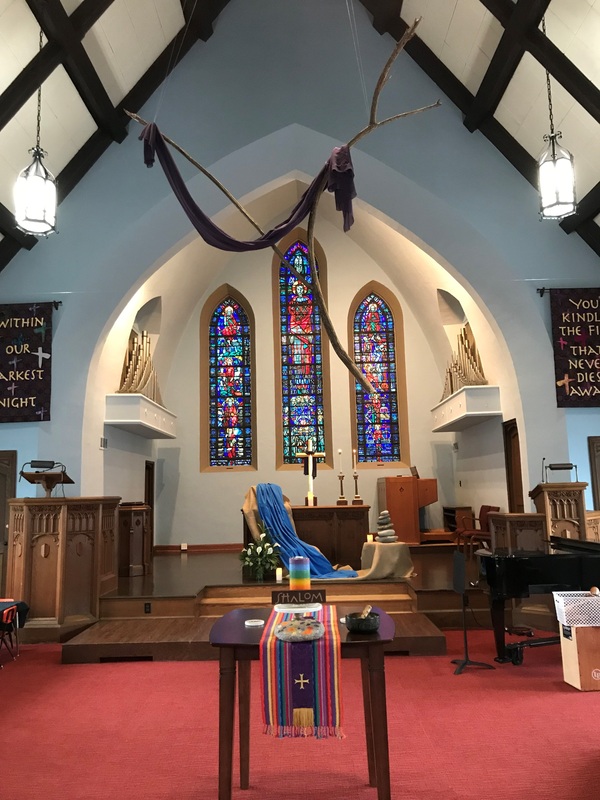 Welcome to Peace United Church of Christ | An Open and Affirming Church in the St. Louis Area! Following The Way (a Lenten Worship Series) Again, this year we step on the path with Jesus as he makes his way to Jerusalem from Galilee. We call this time of journey – Lent. Our worship series during the six Sundays in Lent will focus on this journey and how we might Follow the Way of Jesus. Each Sunday will highlight a different aspect of the Way. We know this path is not easy. We know where the journey took Jesus, and we know that Following The Way will indeed lead us on a similar trajectory. We also know that the fulfillment of God’s Dream of Shalom (comprehensive well being) requires our participation on this journey. We hope you will join us Sunday mornings in Lent as we contemplate Following The Way. The balanced stack of rocks, known as a cairn, has been used by many cultures over the centuries as a directional marker along a path. Our cairn today provides a simple, prayerful pause as well as direction for our journey in Following the Way.